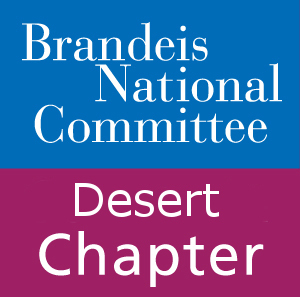 The Desert Chapter of the Brandeis National Committee has planned an exciting year filled with many special events. Keep reading so that you can access the HOT OFF THE PRESS link to the exciting season. HOT OFF THE PRESS is your guide to the most current DESERT BNC EVENTS FLYERS AND REGISTRATION INFORMATION. Visit often. 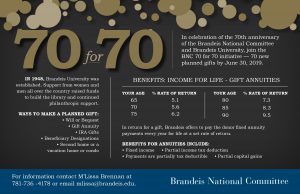 Fill out our local Brandeis Membership Form and send in your check today. Or,if you want to pay by credit card, apply online directly to Brandeis National.